Hi everybody, hope you’ve enjoyed the blog so far. 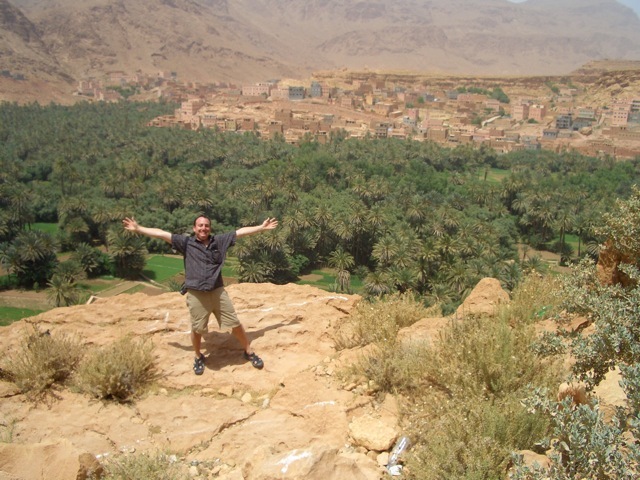 I’ve been having a wonderful time here in Morocco, and I’m happy to be able to share it with you all. I can’t believe it’s already day six as I’m sitting here on the bus preparing this post about our day five experience. 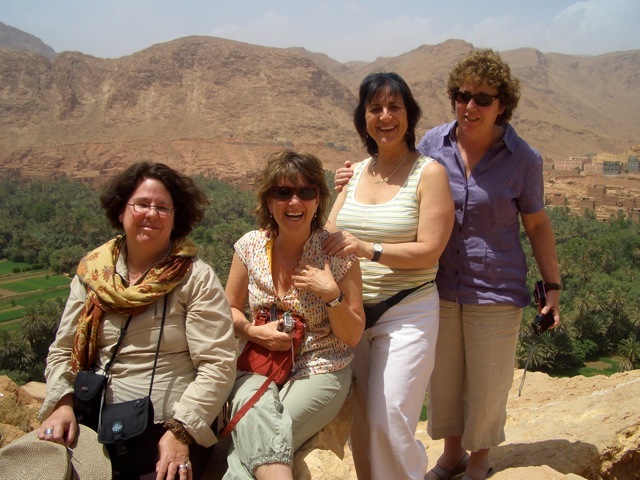 On day five of our journey thorough Morocco, I was still recovering from stomach problems that developed shortly after our desert camping trip. So, I avoided eating anything until we arrived in Ouarzazate after 10pm for a late night dinner at the hotel. But, more about that later. Day five was mostly a driving day, with two important stops. 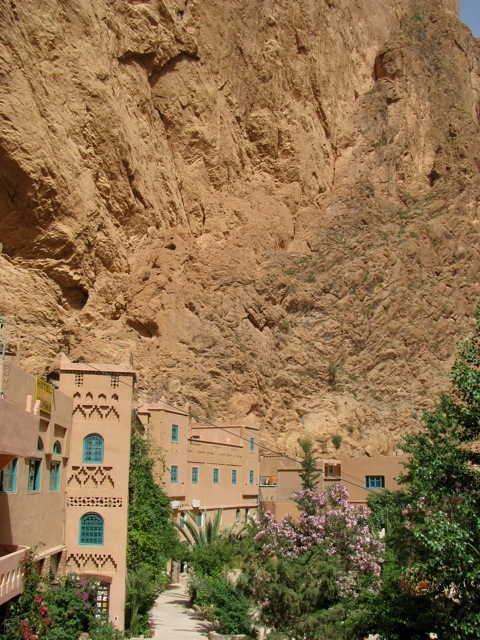 The first one was in Todra, high up in the Atlas mountains, in a Berber region of Morocco. 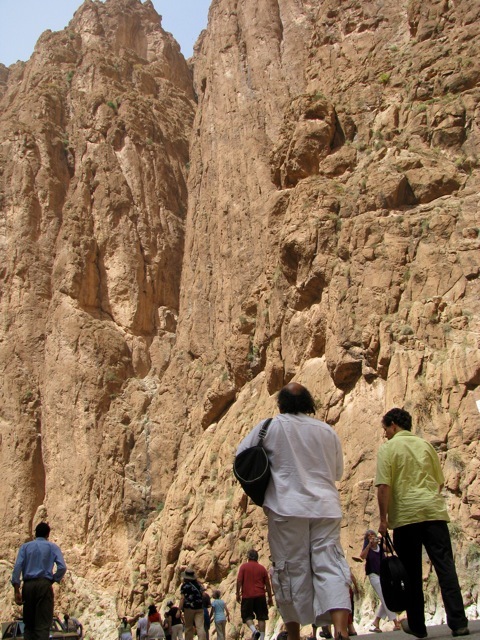 The town of Todra is located in a narrow mountain pass with towering rock walls on each side of the pass. A mountain river flows along side the road. 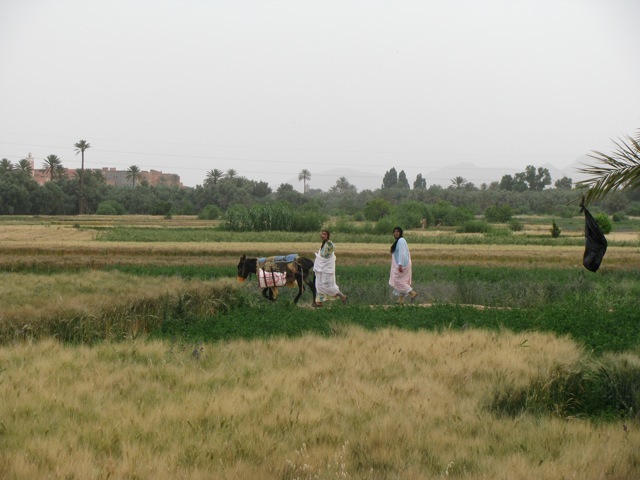 Here in Todra, we have yet another example of the beauty and diversity of the Moroccan landscape, unlike anything we’d seen so far. Our bus stopped near the base of the mountain pass, and we all left the bus, and continued walking up the road to where the group was going to have lunch, taking in the sheer enormity of the rock cliffs on either side of us. The sounds of birds were everywhere, and we could see hundreds of birds flying in and out of nests high in the rock walls. 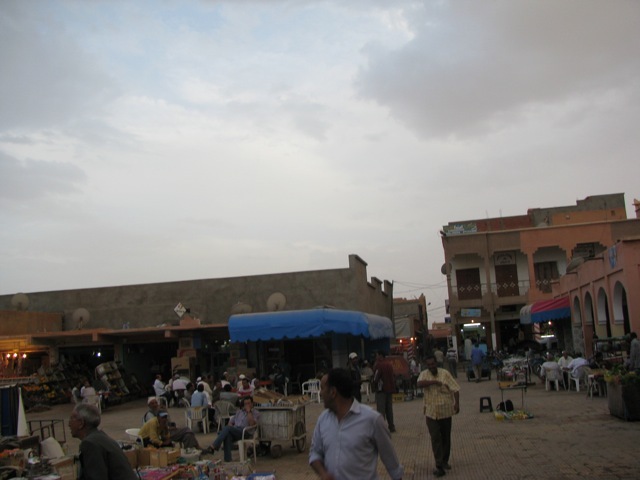 Along the road, Moroccan merchants were peddling jewelry and scarves to the tourists. 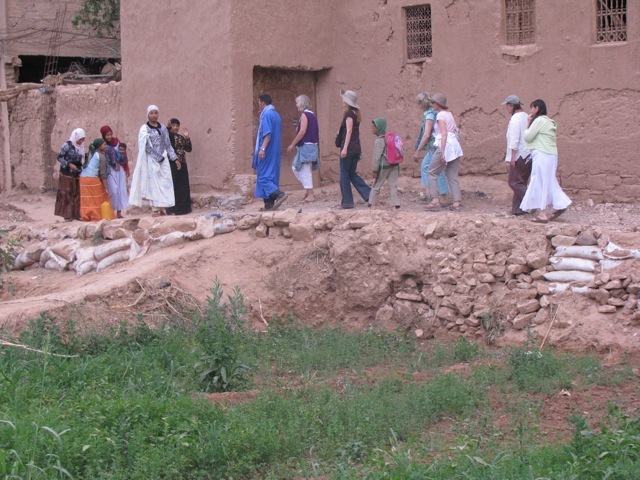 We all assembled for lunch in one of the restaurants in Todra, and most of the tour people sat and ate, while I wandered around outside (unwilling to eat), soaking my feet in the river from one of the small wooden bridges, and taking pictures and video of the surroundings. 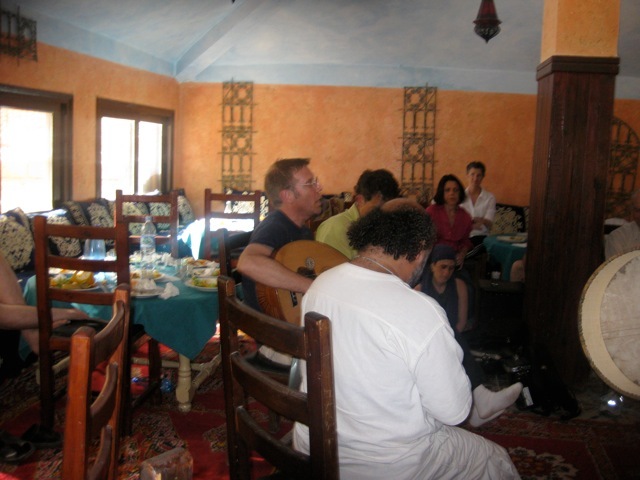 After lunch, Yuval, Jaime, Dror, and Hamid pulled out their instruments (oud, and drums) and performed a song in the restaurant, which is one of the songs Yuval performs regularly, and is written about Todra. This was the first time Yuval had been there, and he he was very moved to be able to play that particular song in the setting where it is written about. We all enjoyed the short performance, then re-boarded the buses and continued our journey. When I get back, I’ll upload the video of the song from the restaurant. 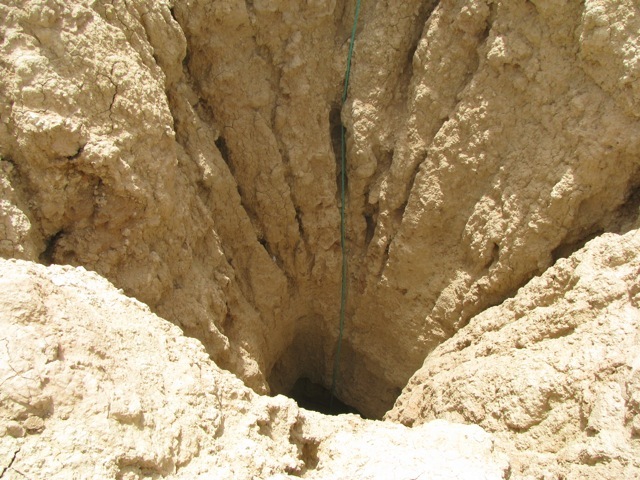 The next stop was in the town of Tinghir. 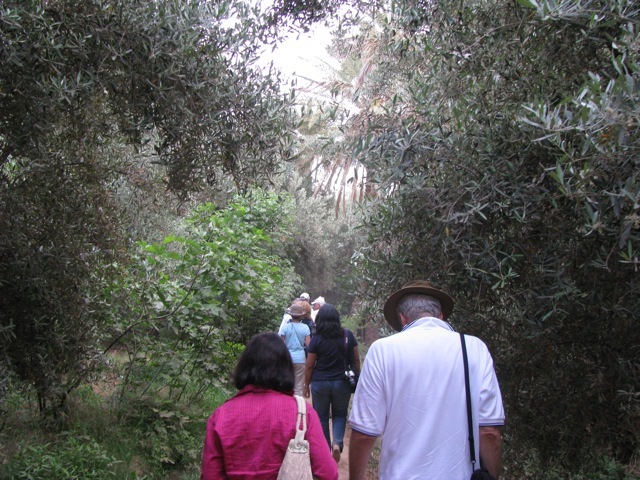 We got off the bus, and walked about a mile or so through fields of wheat and other agriculture, as we headed to the old jewish quarter of the town. Along the way, about a dozen or so kids converged on us, trying to use their charm and cuteness to get money from us. Some gathered flowers for us, others made little crafts out of palm leaves or other vegetation along the way. Dror attempted to teach some of the kids one of the “songs” he does at the end of some of his drumming workshops, and it was really funny for me to here these kids singing the nonsensical lyrics I am so familiar with from my experiences in his drum classes. We finally arrived at the edge of town, and walked through the narrow alleyways of the old jewish quarter, and then through the more populated town center area where there are many shops, people and traffic. 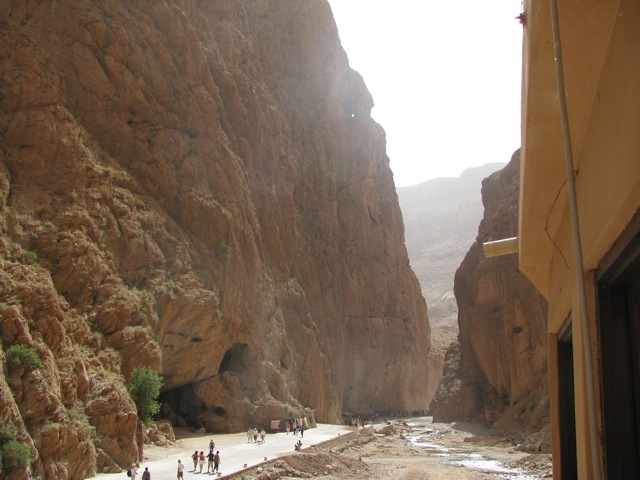 The bus was waiting for us there, and we got back on for the final stage of the day’s drive to Ouarzazate. I was excited to find an open wi-fi connection, and managed a short text chat with my wife back home while waiting to depart. We were on the bus, and it was about sunset time. Drums came out, and there was spirited drumming and singing for a while. I played along on the Dumbek that Dror had purchased from one of the musicians at the Hotel Belere, which he needs for his part in the performance at the Sacred Music Festival. These spontaneous drumming and singing opportunities, which I knew were inevitable, were one of the things that drew me to this tour in the first place, and they certainly make the time in the bus more enjoyable, and pass more quickly. After the drumming and singing, the bus quieted down a bit, and I fell asleep. 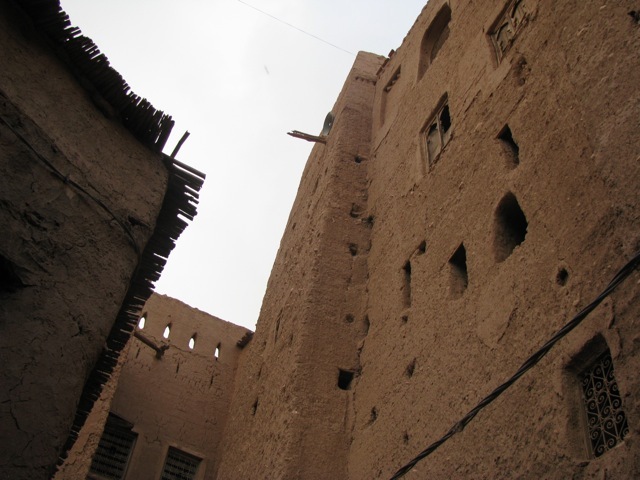 I was woken up by another tour member, and was happy to see we had arrived at our destination hotel for the night, in the city of Ouarzazate. At the hotel, we immediately sat down for dinner (it was after 10pm), and I did manage to eat some chicken kabobs, and white rice, and I could tell I was feeling better. We got our room keys, and after a bit of quiet music by the pool with Dror and Yuval, we headed to our rooms, and quickly went to bed. 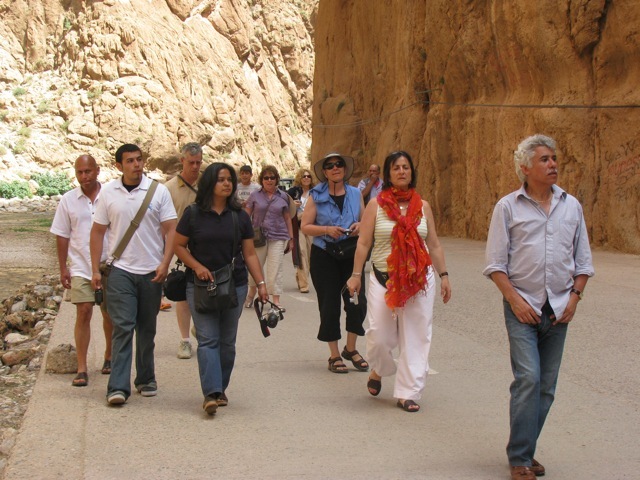 Tomorrow, we continue on to Marrakesh, the tourism capital of Morocco, and the first big-city experience of our tour. This entry was posted by andy on Saturday, May 30th, 2009 at 4:25 pm	and is filed under Preparation. You can follow any responses to this entry through the RSS 2.0 feed. You can leave a response, or trackback from your own site.